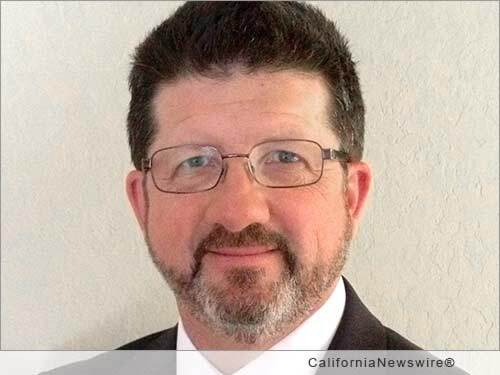 SAN RAMON, Calif. /California Newswire/ — Edgewood Partners Insurance Center (EPIC), a retail property, casualty and employee benefits insurance brokerage, has added Greg Dobson as a principal in its employee benefits division. Dobson brings 30 years of employee benefits expertise to EPIC. He will be based in the company's San Ramon office. Dobson's responsibilities will include the acquisition of new clients, as well as the design, placement and administration of employee benefits programs. His industry specialties include mid-market and large case benefits production, team selling, risk management consultation and employer cost mitigation. "As our company expands on a national scale, adding experienced professionals like Greg is critical to delivering on our standards of excellence and innovation," said EPIC co-founder John Hahn. "Creativity and the highest level of service are foundations of our culture. We are excited to have another professional of Greg's caliber who shares these values join our growing San Ramon team." Prior to joining EPIC, Dobson served as Senior Vice President of Employee Benefits at Suhr Risk Services for seven years. Before Suhr Risk Services, he held the title of Vice President of Sales and Marketing for Designed Benefits of California Inc.
Additionally, Dobson was a crew boss with the USDA Forest Service, leading a team of eight in fire suppression and project work in the Chelan Ranger District of the Wenatchee National Forest for three years before launching a career in insurance. Dobson earned his Associate of Science Degree in Forestry from Wenatchee College. He also holds multiple professional designations, including: Certified Benefits Wellness Advisor, Certified Workers Compensation Specialist, Certified Health Care Reform Specialist and Covered California Certified Agent. "EPIC is a rapidly growing company that is focused on delivering real value to clients through both individual initiative and strong teamwork," said Dobson. "I also appreciate that innovation and personal accountability are so deeply engrained in EPIC's principles and practices. It's a main reason I chose to join the company." EPIC has more than 450 team members operating from locations across California, Colorado, Georgia, Illinois, Massachusetts and New York. With more than $100 million in annual revenue, EPIC ranks among the top 30 retail insurance brokers in the United States. Backed by the Carlyle Group and Stone Point Capital, the company's strategic plan calls for a dramatic increase in revenue ($250 million by 2018) and further expansion across the country. For additional information, please visit http://www.edgewoodins.com/ .